Denver Arenacross Results 2018 – The 2018 AMSOIL Arenacross Championship fired back up in Denver, Colorado, where Chris Blose (TiLube Rockford Fosgate Honda) came away with his first win of the season. Chris Blose gets first win of season before points reset. For Jacob Hayes, the point’s leader going into the race, it was a terrible night. He was involved in a crash that forced him into riding the LCQ, but a third-place finish there prevented him from transferring into the main event and seeing him get knocked off the top of the leaderboard going into the sprint for the championship, where points are reset for the final four races. 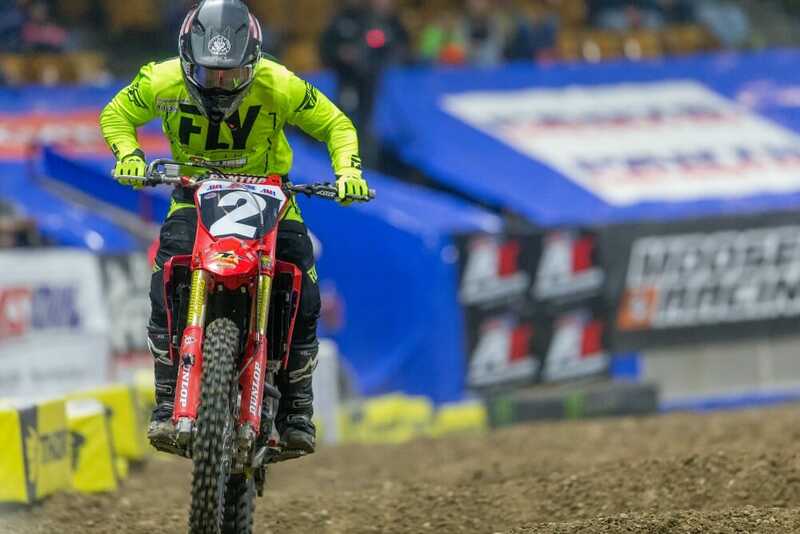 In Denver, Blose led from start to finish in the first moto, but Gavin Faith (Team Babbitt’s Monster Energy Kawasaki) was right behind him the whole way. The second race got started much like the first with Blose jumping into the early lead, and Faith running in second after passing Daniel Herrlein (TZR Woodstock KTM). This time Blose couldn’t hold back Faith, who passed Blose midway through the race and went on to take the win. Blose took second. Blose and Faith tied on points after the two mains, but Blose was awarded the overall victory having won the Rocky Mountain Head 2 Head Challenge earlier in the program, which awards one point to the winner, and that point gets carried over into the main events. In this case, it was enough to give Blose the win. Points are now reset based on how they finished the regular part of the series. Going into the four-race sprint, Faith leads the way with 10 points, followed by Blose with nine points and Hayes with eight. Click here for more motocross news and results.